Heat oil in 10-inch skillet over medium-high heat. Cook onion, bell pepper and garlic in oil 3 to 5 minutes, stirring occasionally, until vegetables are crisp-tender. Stir in remaining ingredients. Cover and simmer 5 to 10 minutes or until vegetables and rice are tender. 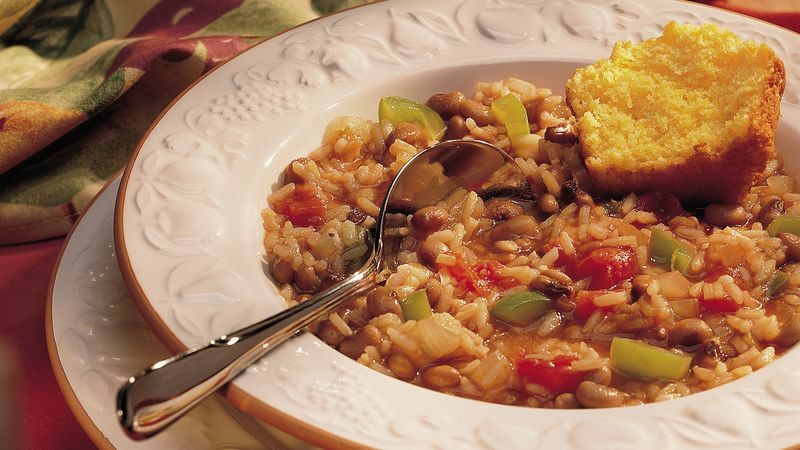 Fire up your jambalaya! Sprinkle it with red pepper sauce just before serving. Where’s the ham? Add 1/2 cup diced fully cooked turkey ham with the remaining ingredients in step 3, and continue as directed. Serve this hearty main dish with corn muffins and sliced fresh fruit.